The Eclipse Award-winning trainer Chad Brown has won more than twice as many graded stakes races on turf this year (31) than any other trainer, and he'll have a strong chance to win another when he sends out Rymska and New Money Honey to contest the ten-furlong American Oaks. Both fillies are accomplished graded stakes winners, and though New Money Honey has already scored a win over this distance in the Belmont Oaks (gr. I), my preference is for her lightly-raced stablemate. Turf races are often won by the horse with the best turn-of-foot in the homestretch, and it's hard to imagine any filly out-kicking Rymska in the final furlong of the American Oaks. She's 3-for-3 this year, with each victory being the result of her tremendous acceleration in the homestretch, which has carried her from behind fast and slow paces alike to win the Sweetest Chant Stakes (gr. III), Commonwealth Oaks (gr. III), and Winter Memories Stakes with exceptional finishing fractions. I think she's the most likely winner. Although this race has drawn nine starters, on paper there's not much speed in the race, as most of the entrants do their best running from off the pace. That could conceivably give an advantage to the front-running Masochistic, who is by far the most accomplished horse in the race. The seven-year-old gelding has been a top-notch sprinter for several years, scoring a signature victory in the 2015 Triple Bend Stakes (gr. I) and running second in the 2016 Breeders' Cup Sprint (gr. I) before being disqualified due to a positive post-race test. But while Masochistic's reputation ensures that he'll start at a short price, he's only run three times since August 2016 and has been beaten each time. Furthermore, he's nearly eight years old now, and the Midnight Lute will mark his first start since May and his first start since being transferred to the barn of trainer Bob Baffert. Under the circumstances, I'm tempted to take a shot against Masochistic with Americanize. Trained by Simon Callaghan, the speedy son of Concord Point has improved steadily throughout 2017 and has been particularly impressive in his last three starts. On October 7th, he won an allowance optional claiming race over the same track and distance as the Midnight Lute, defeating future Malibu Stakes (gr. I) winner City of Light by a length while earning a 102 Beyer. On November 3rd, he scored a gate-to-wire win in the seven-furlong Damascus Stakes at Del Mar, prevailing by 2 ¼ lengths while posting a 100 Beyer. Americanize then shipped across the country and stretched out to a mile to contest the Cigar Mile Handicap (gr. I) at Aqueduct, and though he could only finish fourth, his effort was noteworthy considering that he dueled hard for the early lead through fast fractions and wasn't badly beaten against tough competition. The return to a sprint distance should be perfect for Americanize, and drawing outside of Masochistic should give him plenty of options to set or stalk the pace, depending on how much speed Masochistic shows in his first start off the layoff. From there, I think Americanize will be tough to beat. Chad Brown trains two of the six starters in this nine-furlong turf race for fillies and mares, and they could very well be capable of sweeping the exacta. The most accomplished of the pair, at least in recent months, is Penjade, who has rallied to score narrow victories in four of her last five starts, including the 8.5-furlong Forever Together Stakes last month at Aqueduct. But on this day, her stablemate Elysea's World might be the one to play. Although she could only finish fourth in the Forever Together Stakes, she had a troubled trip in that race and might have won with a clean run. Elysea's World isn't exactly a winning machine with just three victories from fifteen starts, but she's consistent and has more than earned her keep while placing in five graded stakes races this year, including runner-up efforts in the Hillsborough Stakes (gr. II) and the Canadian Stakes (gr. II). This race looks significantly easier by comparison, and with the four-time Eclipse Award-winning jockey Javier Castellano in the saddle, I think Elysea's World has found the right spot to pick up her first graded stakes win. Now it's your turn! 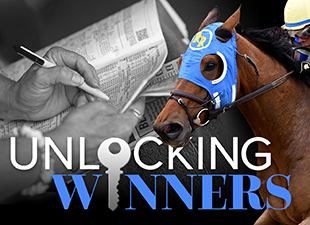 Who do you like in the weekend graded stakes races at Santa Anita?